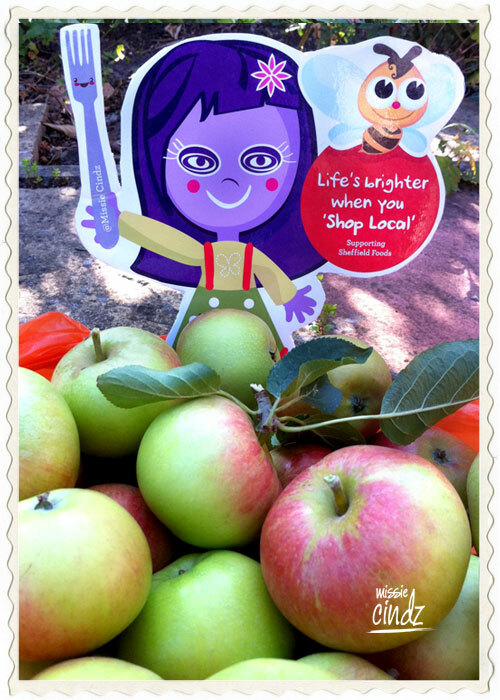 Forget Jack and his stalk, it's all about Missie Cindz and her Apple Tree. 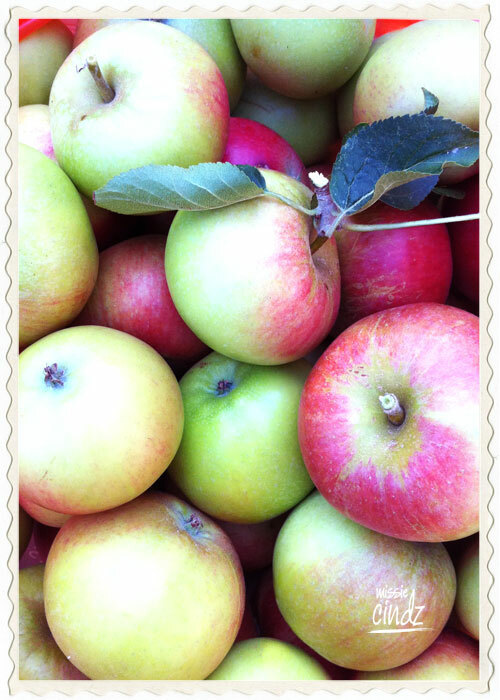 Lovely in season, Sheffield grown apples. Having a colourful little orchard was never intended – I guess everyone’s back garden can be an amazing place of tasty delights. I have this beautiful large apple and Victorian plums tree in the garden. 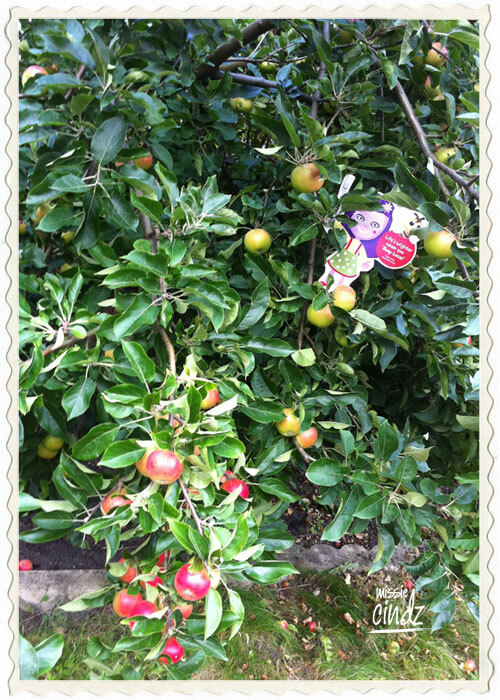 It is a great pleasure to pick the fruits straight off the tree and eat them, even before they were ripe – nothing better than a sour apple – apart from a peeled cooking apple dipped in caster sugar (deliciously sweet & sour and eaten with anticipation). I love apples and it’s this time of year that apples are in their full bloom. It makes a world of difference to have an apple straight (or not long from) the tree versus cold storage. This year, the apples have grown pretty well, not many caterpillar bites in them (unlike last year). Braeburn are pretty good apples but I’m not too sure what type of apples I have – they’re not too sweet, or big and ideal for sweet pies? 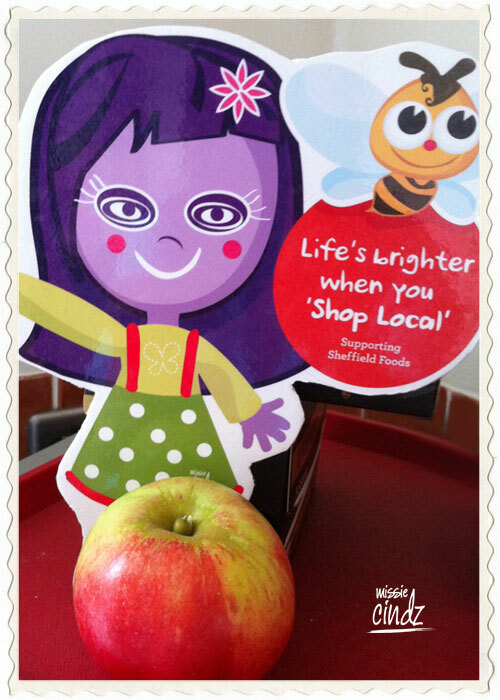 It’s a very Sheffield apple – so I’m making the most of them. I’ve been tweeting and facebooking asking followers for ‘Apple Recipes’ and ideas, everyone’s been fantastic. Big thanks to Vicki Thomson (@ThreemintTea) for ideas including: apple betty, apple crumble, apple jelly, apple cheese, spiced apple chutney, juice apple and berry leather apple sauce, apple strudle, apple rings…wow! what a tasty list of apple delights. Cheers Tim Parmee and Annie for the delicious ‘Annie’s Polish Apple Cake recipe’ It’s mighty tasty, I know! :) and finally thanks to Penny Ritson for sharing a lovely blog post with Missie on the ‘The Great British Bramley Apple‘ – a great video and apple crumble recipe on there too. Crumble’s my fave! Baked apples can make a very healthy (that’s what I tell myself), they’re filling and an easy to cook dessert. This recipe is an all-time favourite of those after the ultimate quick and easy dessert. Serve with nostalgia – it’s the delicious pudding which often conjures up playful CDT days from school, getting those crumbly buttered bits stuck in your finger nails and making sure you get that crumble topping just right – at least an inch thick! 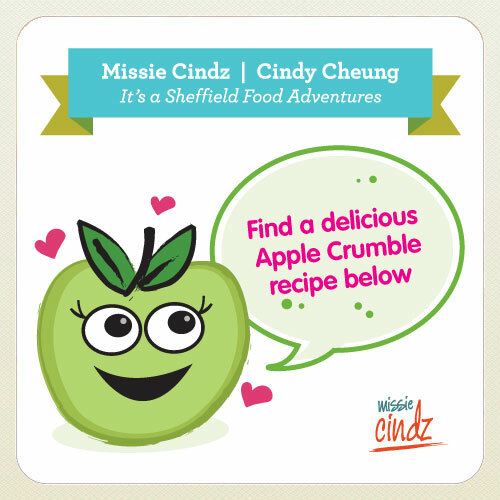 Crumbles are really easy to make – takes less than 20 minutes to prepare and is made from the simplest ingredients – Missie’s Sheffield apples! The recipe below will make a medium sized apple crumble, enough for four people. So go on, make a wonderful pudding from seasonal apples and enjoy! I like a large amount crumble in relation to the fruit – drowned in the yellow stuff too. Heaven. Peel and core the apples, quarter and cut in to chunks. Place the apples into a pan with the sugar, cinnamon and water. Cook over a low heat for 10 minutes and place in a small ovenproof dish. Place the flour and oats in a bowl and mix well. Cut the margarine or butter into small cubes and add this to the oats and flour. Mix with your fingertips until it resembles an even crumb texture. Add the sugar and mix through. Cover the lovely mushy apples with the crumble mixture. Bake for approximately 20 minutes until the crumble is golden and the apple hot. I tend to serve a portion of crumble with lashings of custard – just nom it however you please! Lovely.